Real Magic Happen Travel or RMH Travel for short, is a full service travel agency specializing in family vacations to Disney® Parks and on cruises. Located in Southern California, we have experiences many of the attractions and vacations spots thru out Southern California. RMH Travel favorite is, of course, Disneyland®. RMH Travel has personally stayed at all the Disneyland® own hotels (Grand California Hotel® and Spa, Disneyland® Hotel, Paradise Pier Hotel®), as well as a few of the good neighbor hotels. 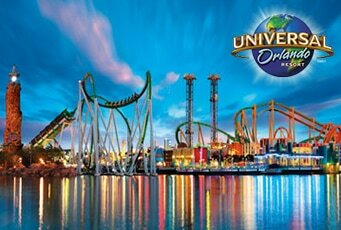 RMH Travel has traveled to Orlando and visited Walt Disney World ® several times, Universal Studios® Orlando, and Sea World®. RMH Travel enjoyed booking cruises with Disney® Cruise, Princess® Cruises, and Carnival®. Graduates of Disney College of Knowledge, Princess® Academy, University of WOW! (Royal Caribbean Academy), and Norwegian Cruise Line Graduate, you can say we have you covered when it comes to either Disney or cruising. You can feel safe booking your vacation with RMH Travel, because every vacation booked with RMH Travel is treated better than our own. I always double check everything for you, I am here as your sounding board. RMH Travel offer expert advice, and explain things to you. RMH Travel is here to help guide you as you book dining reservations, excursions, FASTPASS, etc. RMH Travel is here to help you as much or as little as you need. Whether you are traveling to this destination for the first time or the 100th time, when you book with RMH Travel, you will find that extra magic you will find nowhere else.